Mexico is considered to have large oil and gas resources and may also be one of the largest and currently underexplored areas with great reserves potential. The energy reform that took place in Mexico in 2014 ended 25 years of state monopoly and opened the country to foreign capital investment. Since then, the authorities have worked diligently to schedule and promote regular and transparent license rounds. TGS was quick to enter the Mexican market by executing the Gigante exploration program which was designed to create a comprehensive set of products that would facilitate understanding of the entire Gulf of Mexico basin. The Gigante survey provides a regional seismic grid with consistent acquisition and processing parameters that into U.S. GOM data, gravity & magnetic studies, structural interpretations, and evaluation of prospective areas through use of bathymetry and geochemical analyses from seafloor core targets. By utilizing this wealth of information, new prospective areas for 3D surveys have been planned and permitted. TGS’ Mexico Multibeam program included acquisition of multibeam data, coring, and geochemical analysis data over an area of approximately 622,857 square kilometers in Mexican waters. This project covers the entire deepwater area of the offshore sector of Mexico, including world-class producing trends such as the Perdido Fold Belt and Campeche Bay. This project was conducted in conjunction with the 188,490 km TGS Gigante seismic survey. TGS’ Mexico Multibeam project commenced in October 2015 and covers 622,857 km². Acquisition ended September 2016. Main Deliverables include raw multibeam and backscatter data, processed bathymetry data, raw sub-bottom profiler data, ArcGIS project with multibeam bathymetry and backscatter, water Column Data, acquisition, and a comprehensive processing report. TGS’ Mexico Geochemistry study was conducted by TDI Brooks in conjunction with TGS’ Gigante 2D seismic survey and Multibeam program. A total of 906 conventional 6-meter cores were collected along with 100 20 meter Jumbo Piston Cores and 100 Heat Flow measurements. Acquisition started January 2016 and ended December 2016. Processing was completed Q3 2017. 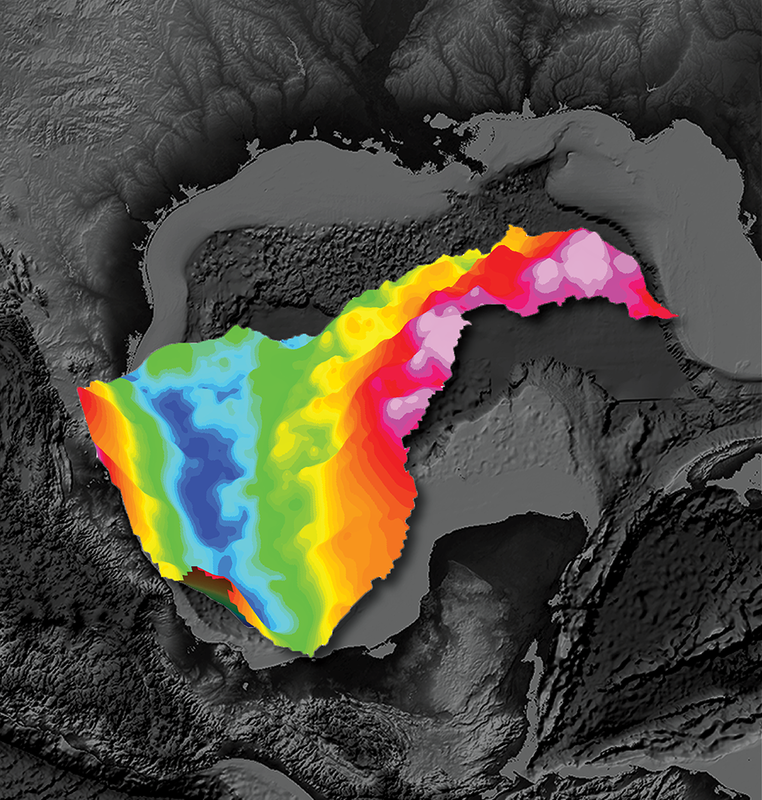 TGS and Bain Geophysical Services (BainGeo) have teamed up to create the “Gigante Crustal Study” covering offshore Mexico and the regional Gulf of Mexico. The project results, which are available for immediate delivery, provide: Depth to magnetic/crystalline basement, depth to Moho and crustal thickness, limit of oceanic crust, and magnetic basement terrane boundaries. These results provide an improved definition of basement depth, shape, and structure, which directly influences reservoir thickness and migration pathways. 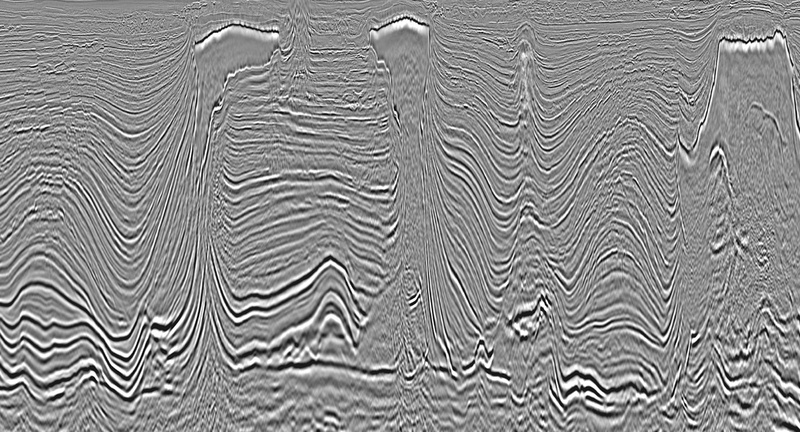 Each of the above results has been integrated with the seismic mapping performed by TGS (available as a separate deliverable), thus providing a truly holistic exploration result. These results are an essential complement to your internal regional exploration tools. TGS delivers industry-Leading Offshore Seismic Data in the GOM.